Before founding Decipher Consulting in 2002, I worked as a strategy consultant in Johannesburg and Sydney with leading global firms. My 15 year management consulting career was preceded by a full decade as a successful chemistry researcher and lecturer. I have – after my “science apprenticeship” – served on major consulting engagements with diverse organisations, including high-profile success stories like the South African Revenue Service transformation. My advisory focus has over this time progressively shifted to the domains of organisational effectiveness and leadership development. I am an institutional innovator first (my day job), and STEM education activist second (volunteer). My re-engagement with education in 2011 was driven by a desire to increase access to effective STEM (science, technology, engineering, maths) learning via technology and social media for high-schoolers. 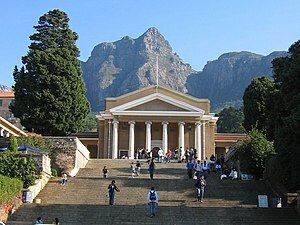 I have also been appointed as a honourary lecturer by UCT to teach Leadership on a new MPhil programme in Medicine. Whatever I do, however, I simply seek to promote a life-long love for learning and a deep desire for improvement.